Christian Church This Christian Church website reviews the LDS Christian church conspiracy by the Church of Jesus Christ of Latter-Day Saints. 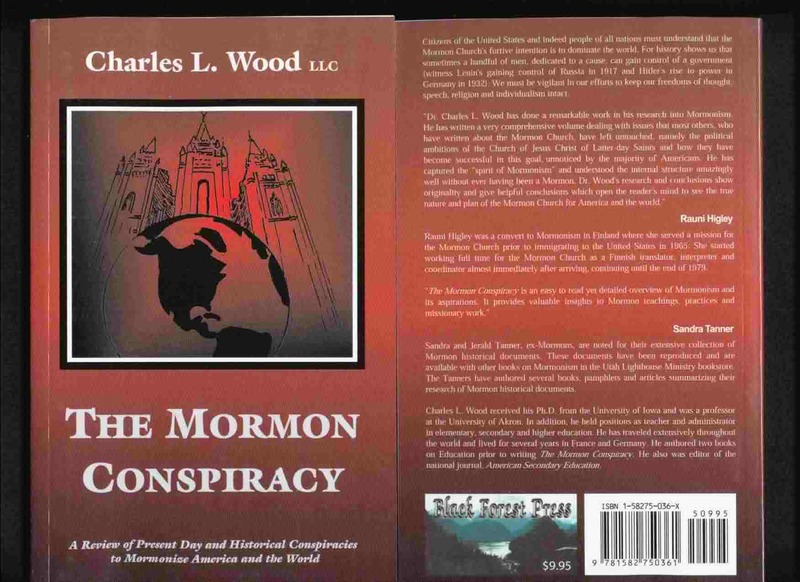 Any Christian church should read how the Mormon Church of LDS, also called the Chuch of Jesus Christ of Latter-Day Saints, is involved in a conspiracy to rule America and the world by converting all christians into Mormons. This new Christian belief was shaped by Joseph Smith, Jr. after he, with his scribes, wrote a book, called the Book of Mormon. Mormon Church leaders claim it is the only true religion on earth. b) Mortal life is the second phase of a Mormon believer’s life; it is to gain a physical body and experience. It is a life not only filled with happiness, but also with pain and suffering. A major purpose of mortal life is to prepare oneself for eternal life by living within God’s instructions according to the Bible and the Book of Mormon. The better that one fulfills God’s wishes, the better his life will be in the life beyond. Who defines what God commands? Most of these commands come from the imagination of Joseph Smith. As the prophet of the church, according to Smith, only he was able to receive revelations from God concerning the organization and doctrine of the church. Today, the President of the Mormon Church, who is the current prophet, interprets God’s commands to members. However he generally continues the interpretations which Smith had written more than a century and a half ago. The three forms in life or existence: (1) pre-existence, (2)in the human body while alive and upon this earth and(3)in life after death. All persons on earth had a pre-existence and will have an after death existence. In order to go to heaven, a pre-existent spirit must enter a human body and live on earth before that can occur. The highest level of heaven is celestial to which all Mormons aspire. They must perform righteous duties throughout their lives while upon earth to get there. Some of the duties that will lead to the highest level of heaven include: serving on a two-year mission, serving in all callings, i.e. as a ward bishop, or other priesthood callings. A women must marry a worthy priesthood holder in a temple and perform her duties and callings at home and in the church. This is why in the days of polygamy, young girls often would readily marry an older man as long as he held one of these high offices even if he already had several other wives, since this would assure them a place in the highest level of heaven.